Looking to grow your Spanish or English skills? Join our monthly conversation club! All skills levels welcome. 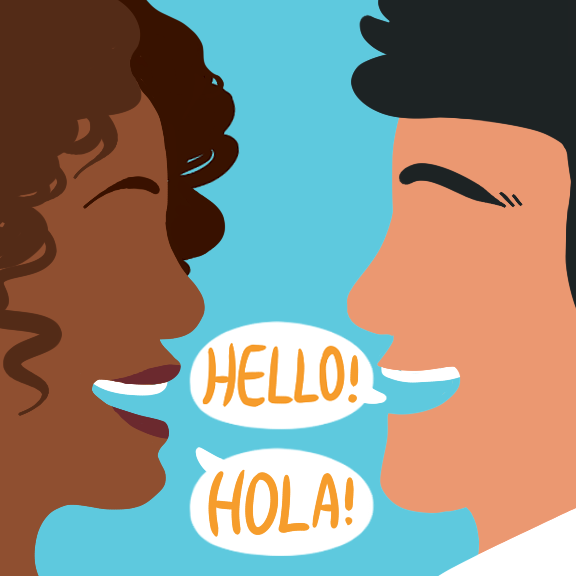 Roughly half of each session will be spent in each language. ¿Esta buscando mejorar sus habilidades en el ingles o tal vez practicar su español? ¡Venga y sea parte de nuestro club de conversación! La sesión se dividirá por la mitad donde se pueda conversar en los dos idiomas. Program in collaboration with Latino 4-H Club. Este programa es en colaboración con el club 4-H Latino. Ages/Edades 16+. No signup required. Note: This program was originally scheduled for Wednesday, January 30th, but was rescheduled for Tuesday, February 12th due to weather-related Library closing.